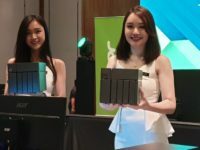 Acer Malaysia reaffirmed their commitment to offering the best equipment possible to gamers with the release of two new 27-inch 4K gaming monitors in the form of the Acer Predator XB273K and Acer Nitro XC273K gaming monitors as well as a new line of clothing in collaboration with local clothing outfit Pestle & Mortar Clothing dubbed the ‘Acer X PMC’ clothing line for both men and women to game in style. 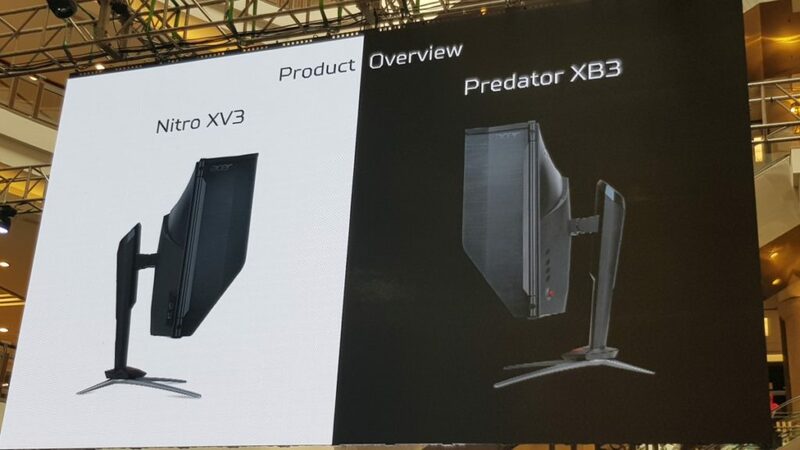 Externally, both gaming monitors are aesthetically similar to each other with a series of hooded blinkers on the side and tops along with a metal tripod base to hold it up but differ in that the Predator XB273K monitor has the brand’s iconic Predator logo emblazoned on the back. The Predator XB273K is a 27-inch gaming monitor with 3,840 x 2160 pixel resolution IPS panel with a 4ms response time and NVIDIA G-sync tech to allow it to crank up to a 144Hz refresh rate for silky smooth gameplay. 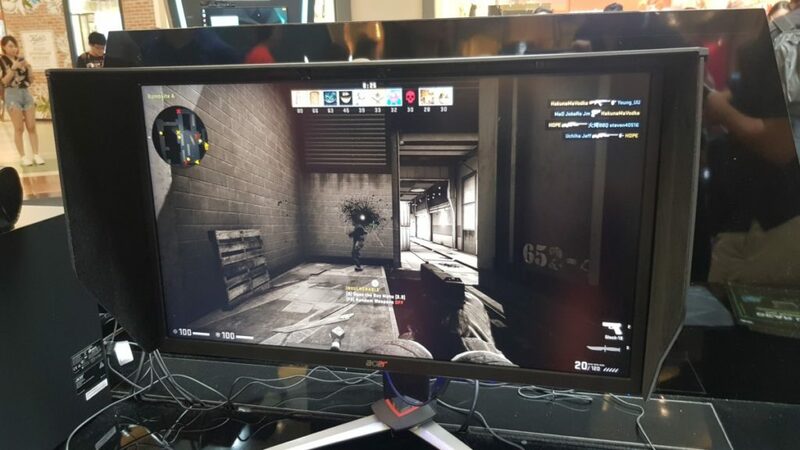 The Predator XB273K monitor is also capable of excellent colour reproduction with the ability to cover 90% of the DCI-P3 colour gamut as well as the ability to swap between half a dozen modes on demand – Standard, ECO, Graphic, Movie as well as three game-specific modes: Action, Racing and Sports at will. 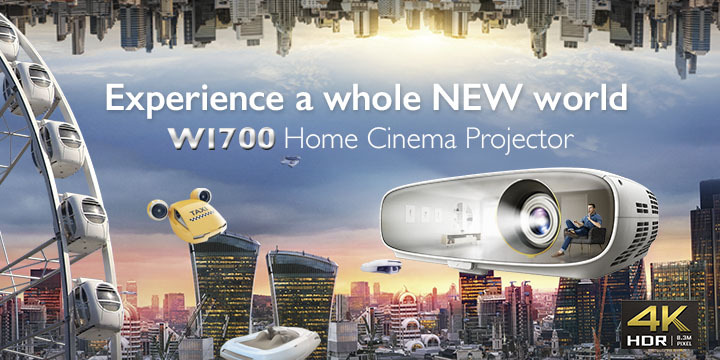 Other mod-cons include Acer’s BlueLightShield to make it easier on the eyes by filtering out the blue light spectrum. 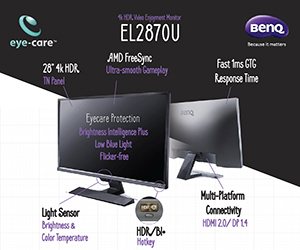 The monitor also sports VESA Display HDR 400 certification for better colour accuracy onscreen. 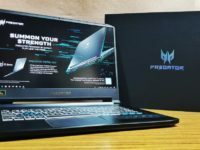 The Predator XB273K retails for RM4,599 and will be available nationwide from mid-December 2018 onwards at all Acer Official Online stores and resellers nationwide. 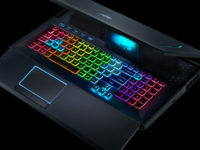 The 27-inch Acer Nitro XV273K is akin to the XB273K in that it also has a 4K UHD resolution panel, the ability to overclock up to a 144Hz refresh rate and a similarly respectable VESA DisplayHDR 400 certification. 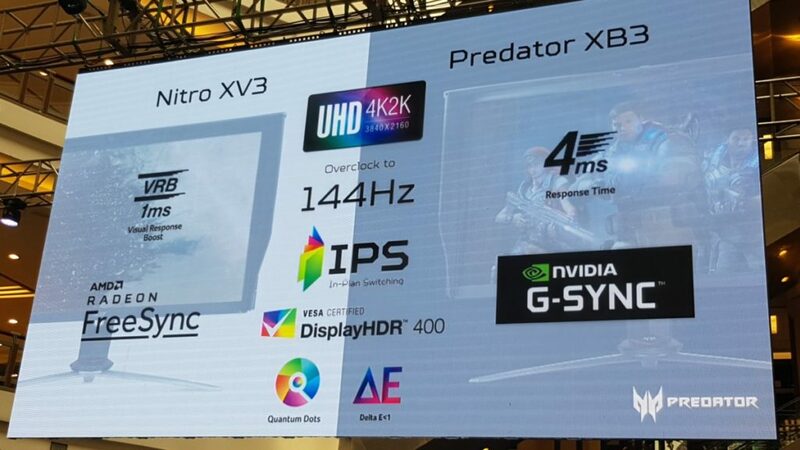 Where it differs is that it has AMD Radeon FreeSync and Integrated Visual Response Boost (VRB) tech to achieve a very respectable 1ms Moving Picture Response Time (MPRT). 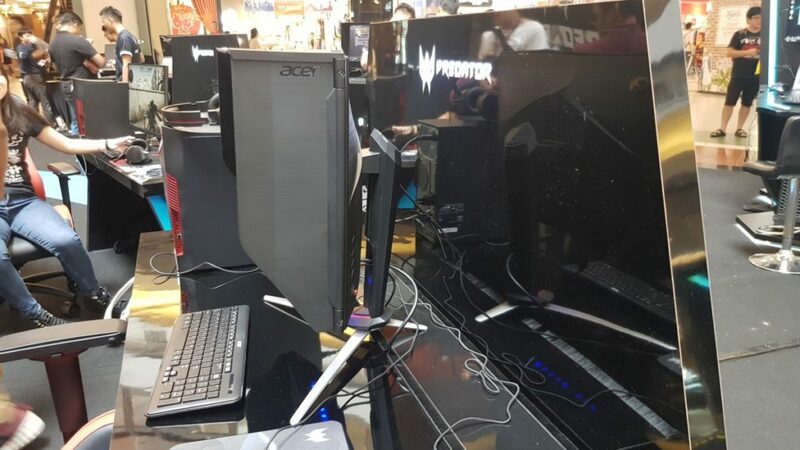 The Acer Nitro XV273K monitor will be available for RM2,999 in mid-November at all Acer Official Online stores and authorised resellers nationwide. The new Acer X PMC clothing consists of two unique sub categories, each with unique iconography on the front dubbed the Acer Swift and Predator Conquer New Worlds T-shirts. 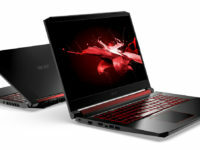 The Acer Swift T-shirts retail at RM99 while the Predator Conquer New Worlds T-shirts retail at RM109.